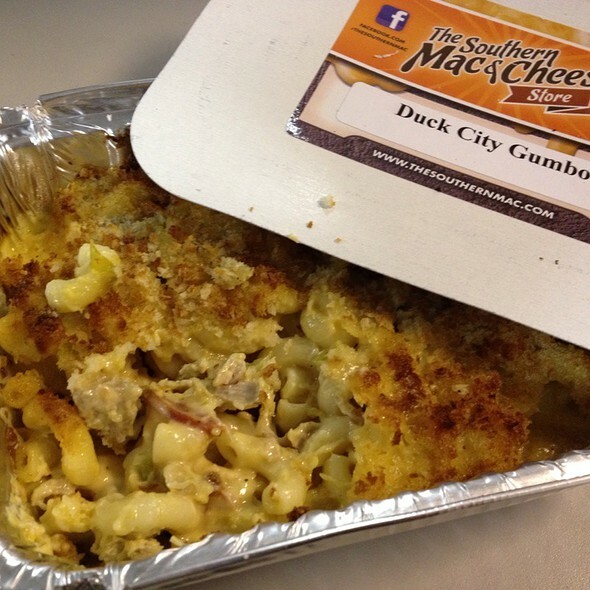 Looking to try "grown-up" Mac & Cheese... then definitely try it here! With so many different mix-ins... they have to have a combination that suits your taste! Follow the truck on twitter to get the heads up! An amazing creation that they carried on their truck! It had a good amount of meat (both Duck and Andouille Sausage), some sautéed onions, pepper jack cheese, and a nice breadcrumb crust. I liked this Mac & Cheese because it wasn't too cheese and too creamy. 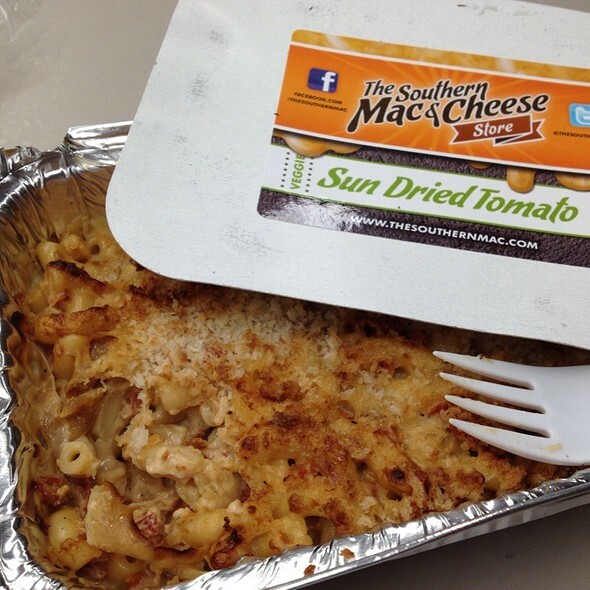 It had a good balance between the meat, spices, noodles, and cheese... It was definitely worth the several block journey in the middle of winter! This was one of their vegetarian friendly options for the day. It was definitely good, but it was extremely cheese flavored without being too creamy. (kind of weird). I did enjoy the sun dried tomatoes... Glad they offer it, just not my favorite. - I have heard to NOT get the plain american style mac & cheese with the hot dog pieces... Everyone I've talked to just didn't like it... so I don't want anyone to be disappointed!